Identify Drainage & Plumbing offers a full drain cleaning and repair service, domestic and commercial. 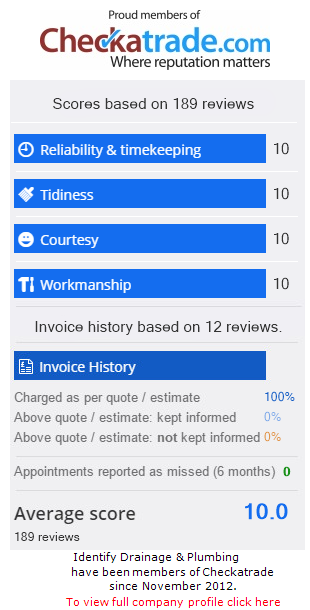 With a 1 hour response time for all emergencies 24 hours a day, we carry out repairs fast and efficiently keeping it stress and hassle-free for our customer. Do you need a Drain Repair or a Plumber? Sometimes drains get damaged and even collapse, from spot repairs to relining entire drainage systems, Identify Drainage & Plumbing will identify and resolve the problem fast and to the best standards. 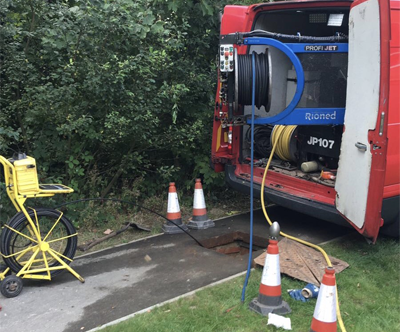 Repairs to below ground drainage is a specialist job, we have highly skilled, fully trained drainage engineers on hand to repair or replace all types of damaged drains and pipes. We have all the latest equipment making the job as hassle free and cost effective as possible. Why choose us to repair your drains? We have all the latest technology from drain jetters to CCTV to make the job quick and efficient.